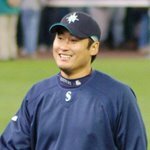 Cha (cha) Seung (sung) Baek (beck)...graduated from Pusan High School in Pusan, South Korea in 1998...led his team to a second place ﬁnish at the 1998 Korean National High School tournament...considered the top high school pitching prospect in Korea...also played third base, ﬁrst base and outﬁeld...hit 10 home runs as a senior. Appeared in 22 games for the Padres, making 20 starts... combined to make 32 appearances between his two stops (21 starts)...Went 5-10 with a 4.62 ERA (58 ER/113.0 IP) as a starter...1-0 with a 5.46 ERA (17 ER/28.0 IP) in 11 relief appearances...Knocked his ﬁrst career home run 7/20 at STL, a two-run shot off Jaime Garcia...Posted a 0.98 ERA (2 ER/18.1 IP) along with a 2-0 record in his last four starts of the year from 9/8-28...On 9/8 vs. LA (NL), tossed 7.0 scoreless innings and earned his ﬁrst home win since 9/27/07 vs. CLE with the Mariners...Worked 2.0 innings on 9/14 vs. SF before leaving the game with a strained right triceps...left his last start on 9/28 vs. PIT after 2.1 frames of work with a left calf strain...Opened the season with the Mariners, making the Opening Day roster for the ﬁrst time in his career.